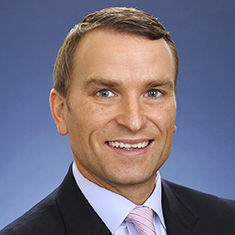 Kristopher Ring is a Commercial Finance partner in Katten's Los Angeles – Century City office. Kris focuses his practice on all aspects of corporate finance, including the representation of private equity groups, hedge funds, public and private companies, financial institutions, and other capital sources in a multitude of complex financing arrangements of all dollar sizes, including leveraged buyouts, cross-border transactions, dividend recapitalizations, workouts and restructurings, special situation financings, and subscription facilities. Kris has substantial experience in negotiating, documenting and closing transactions for clients and companies involved in a diverse group of industries in a wide range of transaction structure types, including: senior secured and unsecured financings; first lien and second lien financings; asset-based loan facilities; cash flow facilities; mezzanine and other subordinated financings; unitranche financings; split collateral structures; debtor-in-possession financings; and capital call facilities. Prior to joining Katten, Kris was a partner at Kirkland & Ellis LLP. During law school, Kris was the executive articles editor of the Washington University Journal of Law & Policy. Shown below is a selection of Kristopher’s engagements. Representation of a private equity investment firm in its dividend recapitalization for a provider of systems lifecycle management, endpoint security and IT service management solutions for desktops, servers and mobile devices. refinancing of debt investment in a specialty jewelry retailer. debt investment in a provider of electronic payments solutions. financing for an environmental consulting firm that specializes in providing compliance-driven air-quality services. debt and equity investment in a provider of media and marketing services. financing for an investment in a provider of in-building wireless software. recapitalization of a home care and medical staffing services franchisor. financing for a for-profit educational institution company. financing for the combination of two commercial and industrial demand response businesses into a stand-alone company. subscription facility financings for certain of the private equity firm's funds. Representation of a technology investment firm in its financing for an investment in a financial software provider. Representation of a San Francisco-based private equity firm in its acquisition of a technology provider to the digital audio industry. Representation of a private equity investment firm in its acquisition financing for a manufacturer, distributor and multi-channel retailer of educational products. Representation of an energy company in its Chapter 11 restructuring. Representation of a power producing company in its Chapter 11 restructuring of senior unsecured notes and other obligations. Representation of a provider of processing services for the real estate finance industry in connection with its out-of-court restructuring. Representation of senior lenders in connection with the out-of-court restructuring of a developer of software and electronics products for the arts and crafts market.